Off from the main street we took a turn to a connecting alley where the hostel is nestled. I have five friends with me booked in an eight bed dorm room all paid for by us. We were kinda excited about this Phnom Penh hostel property because they have a pool and good reviews in Booking.com and Agoda.com. We were trying to manage our expectations though, so we don’t get a broken heart. 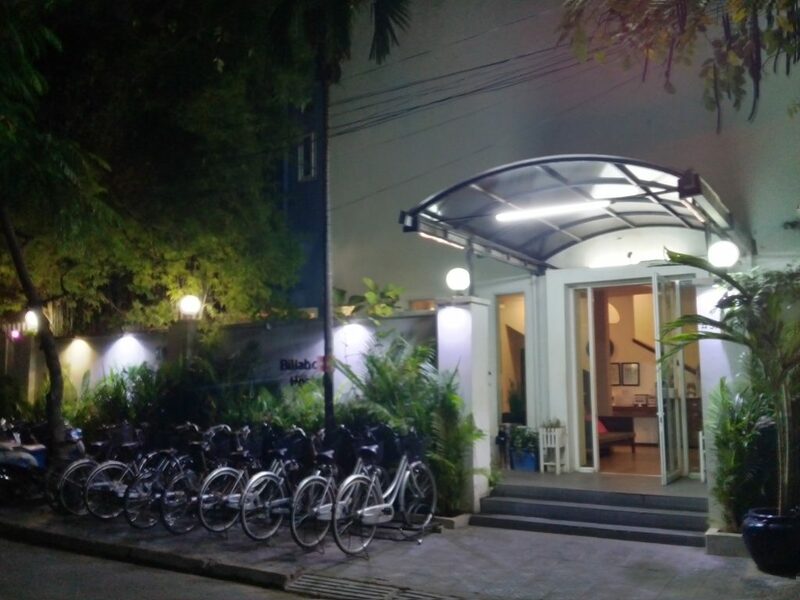 Many sites try to pull the better reviews up on the ranks so that people see them first and sometimes can be rigged by the hotel them selves, but this time I think we hit jackpot and found the best Phnom Penh Hostel! The Hostel is just walking distance from the Phnom Penh Central Market where you can explore a lot of Khmer products, food and souvenirs. 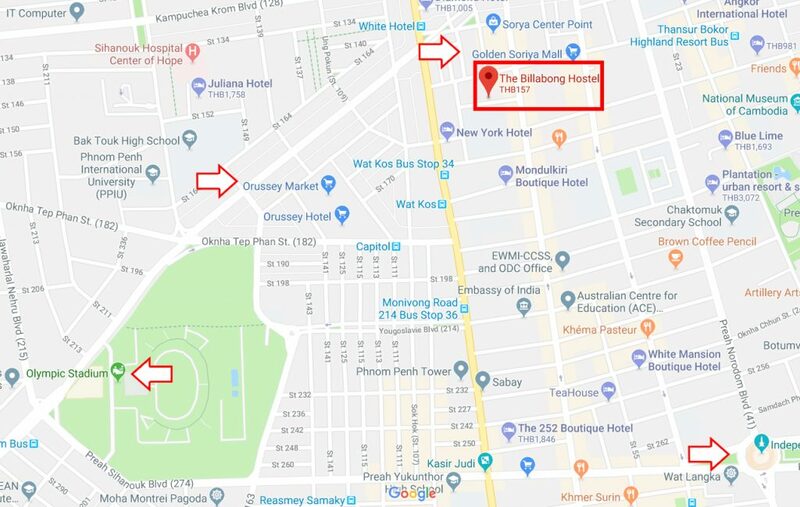 If you are coming from Viet Nam via MekongExpress, you will be dropped off at the Orussey Market 500 meters away from the best Phnom Penh Hostel, The Billabong Hostel. There are restaurants near by where you can dine out and drink with friends over good food at night. In the morning if you don’t fancy the hotel breakfast, you can roam around the area and find great street food that offers grilled port and chicken with rice. I learned that the hostel was formerly branded as a hotel. 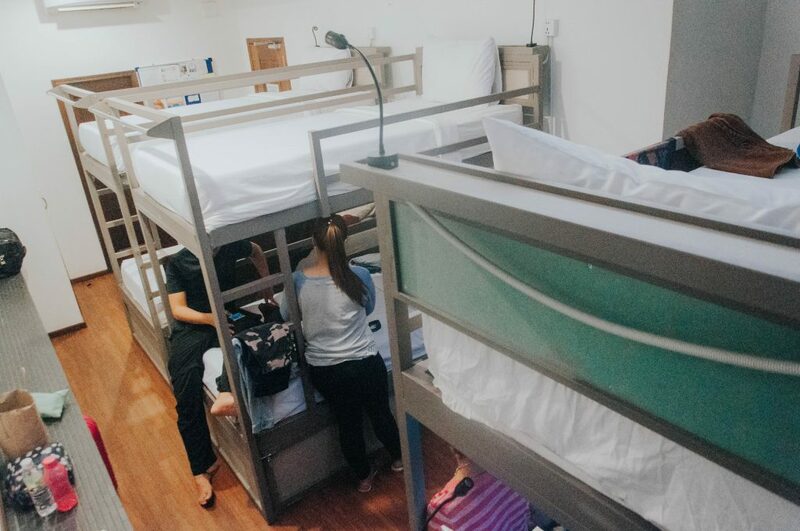 Hence, they have enough private rooms and with the expansion of their brand to the hostel market they were able to add more rooms into their inventory. This could be the reason why it felt like I was staying in an upscale property during our stay. I mean the rooms are incredibly clean and sound proof! The dorms have wide beds, enough space for your to roll over and over (LOL), and has nice support to the back giving you a good night sleep. Climate control inside the room (air conditioning) is also nice and cool the whole day so if you decide to have a lazy day you’d be tucked in a nice and cozy bed. The Billabong Hostel also have the bathrooms inside the dorms so you don’t have to go out and travel back wet along a corridor. This is what my friends love the most about this hostel. The pool, that is what got me the first time I saw this property. I looove pools! Specially when traveling around Southeast Asia where temperatures can sometimes be unforgiving. I had to manage my expectations at first because for the price that wee pay per head was unbelievable. I was hesitating thinking how can a property this good be so affordable! But I was wrong the property did proved to be what its reviews are saying that it is the best Phnom Penh hostel. The pool was clean and clear without that strong smell of chlorine where guests can just soak under the Sun by the pool and take a quick dip when it becomes a bit too hot. Next to the pool is the restaurant where you can order food and refillable coffee. Yep refillable, that one got my heart hahahaha! they have a good menu that offers light and heavy meals good for both westerners and Asian guests. If you are staying in a private room, breakfast actually is included in your room’s price. Billabong Hostel also provides towels and padlocks for lockers ($10 deposit required) that are big enough to fit small luggage. I really appreciate that they provide these since it takes away the burden from me in packing up wet towels in my backpack. Even if we only stayed for one night, I would give The Billabong Hostel 5/5 rating. Value for money incredible and location is just perfect! Their staff speaks really good English and doesn’t need to be called for them to assist. 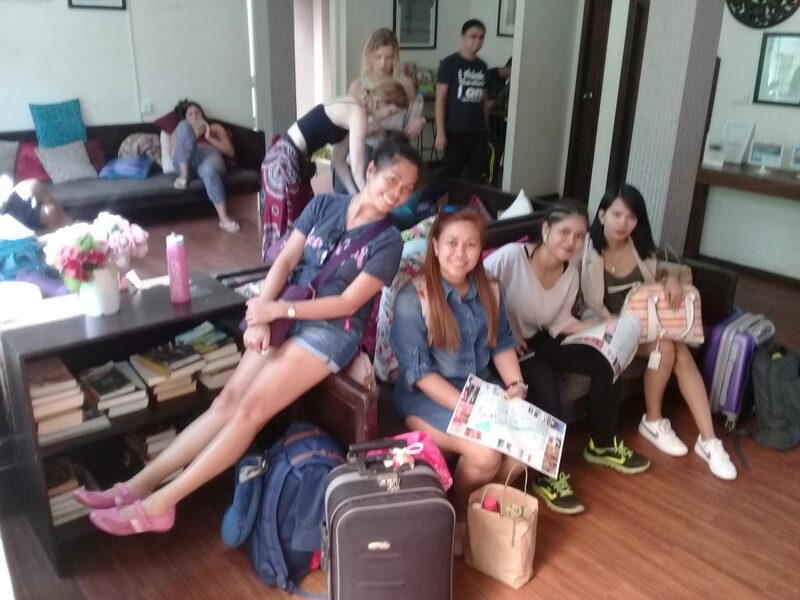 My friends were so happy with the time we spent their even if it was a short while in the best Phnom Penh hostel. I just delighted to have discovered The Billabong Hostel. Now I don’t have to think of anywhere else to bring my guests whenever in Phnom Penh.